For years people have been saying that we are living in a post-literate society and many people claim that Donald Trump is the first post-literate president. The argument is supported by the amount of television people are reported to watch. A recent article in the Mail Online suggests that the average Brit watches 24 hours television per week which equates to ten years of adult life in front of the box! 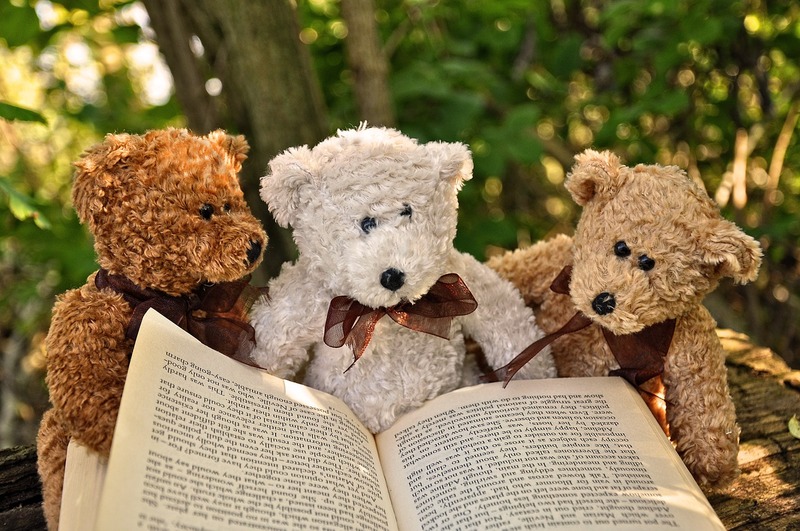 The BBC reported that a recent survey by the National Literacy Trust found that after leaving primary school, enjoyment of reading declines- particularly among boys but also among girls. Having said that, they also found in a survey conducted in 2016 that reading for pleasure was gradually increasing among 8-16 year olds. Girls read a bit more than boys but, for the first time, reading does not appear to be influenced by social background according the report. White children are less likely to enjoy reading than black or mixed ethnic backgrounds and Asian children are the most likely group to enjoy reading. When Derby introduced a literature festival a few years ago, I was excited and it has proved to be a very popular yearly event engaging people from all over Derbyshire and further afield. Literature festivals raise the profile of books and reading and the popularity of the Derby festival can only be seen as positive in that respect. My only reservation is that it tends to be aimed at main-stream publishing and can work out to be quite expensive. Having said that, I am delighted that it is thriving as it raises the profile of books as well as being good for Derby. The festival is held in June each year and attracts a host of famous authors. Tickets tend to be over £12 each making it difficult for an average family to visit more than one event. Indie authors, to date, have not been invited to participate in any way. Indie authors who are self-published now form a large part of the marketplace, particularly in relation to ebook sales and have become much more professional in approach over the past ten years thanks to organisations such as the Alliance of Independent Authors (ALLi). Initially there may have been some authors who did not pay due diligence to their text and editing but anyone trying to publish sub-standard books learns a harsh lesson very quickly. Mainstream publishing still turns it’s nose up at Indies’ but readers less so. If I want to read a good book, I don’t look to see if the publisher is mainstream. I read the description on the back or online if I am purchasing an ebook. If the book turns out to be poor quality inside (be it mainstream or indie) I will not read a book by that author again! So indie or non-indie, I want a good book that is well formatted and not littered with mistakes as do the majority so personally, I don’t care whether a book is traditionally published or self published. At the turn of the year I began thinking about hosting a literature festival in my local area to engage local people with authors and reading. I asked about this on the ALLi forum and discovered that many of my fellow Indies were doing just that. Although the majority were charging and therefore paying authors to attend which is perfectly reasonable, I wanted to provide an event free of charge. One of the leading lights of ALLi, Debbie Young does just this at the Hawkesbury Upton Literature Festival which has been running for five years and has grown exponentially. I have decided to follow this model and the first Oakwood Literature Festival will be held on Saturday 12th May 2018 in the Community Centre in Oakwood! I am delighted that, although this is on a very small scale for the first event (as the money is initially coming out of my pocket!) I have managed to engage some excellent authors who are all willing to give their time for free! As well as four talks by panels of authors and author readings in the main hall, there will be a bookshop cafe, a prize raffle and tombola. The cafe will be a Narnia themed cafe as I feel I am stepping through a wardrobe into an unknown land! The authors attending come from a variety of backgrounds and write in various genres including historical fiction, women’s fiction, thrillers, fantasy fiction, non-fiction and children’s fiction so there is something for everyone. 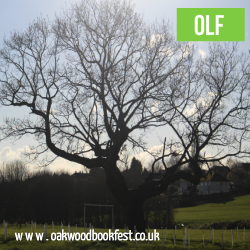 All being well, the Oakwood Literature Festival will become an annual event and will grow. My vision is that it will be able to support itself through sponsorship and the cafe and I would love it to become a yearly, family friendly event held annually in Oakwood across all of the main venues that we have within a half mile radius of each other. For this year though, space is limited but we hope to put on a great day free at the point of entry like the NHS that I loved and worked for for over thirty-nine years!